Health Insurance helps you pay for health care. It offers protection from unexpected medical expenses. Health Insurance protects you from paying the full cost of medical expenses when you are sick or injured. 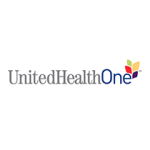 Medical One Insurance is dedicated to assisting you to find the health insurance that meets your needs. Contact us for personal assistance regarding the right policy for you! Click the icons below to apply now!